*Click on each of the headings for further information. To adopt initiatives at the University level which are complementary to those efforts of the Spanish diplomacy to foster external relations and cooperation for development between the EU and Latin America, especially Central America. 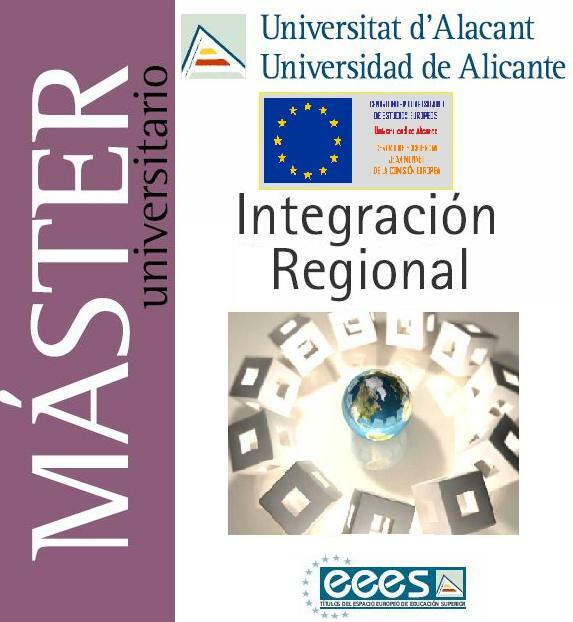 To offer a valid and authentic professional alternative to those University Graduates who wish to specialize in Regional Integration; to have the University of Alcalá (a University with all the advantages inherent in small Universities and in the very heart of the Spanish State), and all Universities delivering the Master's Programme, become reference points as to Regional Integration in their respective areas of influence. To give impetus to the forensic aspect of these studies in order to achieve the objectives above, relying on teaching professionals of great expertise on the field, as you may tell from the list of lecturers. Apart from the aforesaid goals, to provide advanced theoretical teachings on Regional Integration with a quick look at Internal Law. To facilitate, through an appealing research programme, the subsequent elaboration of a PhD thesis at any of the Spanish participating Universities. Civil servants at International Organizations, NGO members, diplomats and judges who wish to enlarge their knowledge in this field. Read more about the syllabus here. Public International Law and Criminal Law Department. School of Law. University of Alicante.